Huddersfield Town are in the Premier League. Keep saying it. I’m sure its the same for most Town fans, but for me, it still hasn’t quite sunk in. We’re going to be pitting our wits against Arsenal, Spurs, Chelsea, Liverpool and the Manchester clubs. Not to mention some of the worlds greatest managers; Mourinho, Wenger, Guardiola, Klopp… The lists go on. 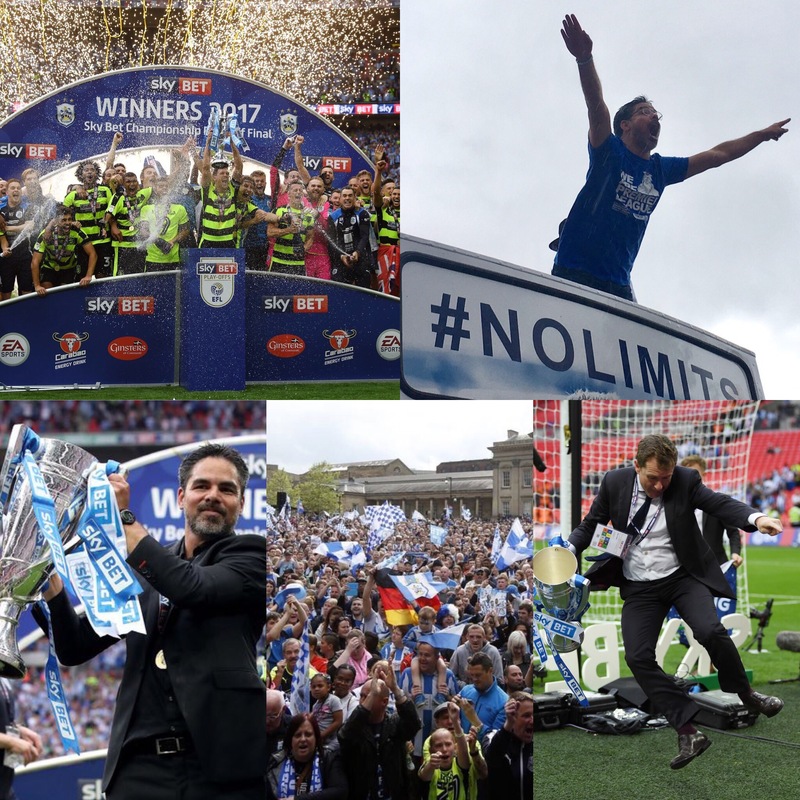 Huddersfield Town, after 45 years out of the top flight are finally back on a level playing field with the best in the country. It’s been some journey, but we’re finally there. And its all thanks to a mixture of Yorkshire grit, and German ideas. Lets go back two years. The club had hit a brick wall. Chris Powell was continually telling us that ‘we can’t compete in the Championship’, and our best players were constantly being sold. There were even rumours that Town owner, chairman and fan Dean Hoyle was ready to sell up. Little did we know, that Hoyle, with the help of Stuart Webber was about to mastermind a real ‘step change’ in the history of Huddersfield Town. In November 2015, Town appointed their first ever non-British manager, the unknown David Wagner as Head Coach. From his first day, he revolutionised the whole club, from double training sessions, to expanding and altering the training ground, and recruiting from overseas. After avoiding relegation, the summer of 2016 saw some 14 players arrive at the club, and there was a real sense of optimism around the club – despite being written off by numerous pundits (*cough* Ian Holloway). An incredible season saw Town put pressure on the eventual top two, Newcastle and Brighton, and finish a fantastic 5th. Town’s old friend, the play-offs awaited. In all honesty, all three games failed to set the world alight, as two draws with Sheffield Wednesday resulted in a Town win on penalties, whilst the final itself was hardly a thriller. However, the feeling when Schindler’s penalty hit the back of the net is something that all Town fans will remember and cherish forever. To most, it was the greatest day of our lives. Huddersfield Town are in the Premier League. Us fans have all summer to reminisce and enjoy the promotion, however Wagner, Hoyle, the newly appointed Head of Football Operations David Moss, and all the Town staff have a race against time to make sure that we are fully prepared for the start of the Premier League season. Everything has to be Premier League standard, from the pitch, to the stadium facilities, all the way to the actual squad. Wagner has been outstanding on the recruitment front, however even the most optimistic Town fan must admit we need reinforcements, and plenty of them. The priorities will obviously be trying to keep a hold of our loanees, especially Aaron Mooy and Izzy Brown, whilst a wealth of names have been touted for additions, such as Ashley Fletcher and Fraizer Campbell. What is for sure, is that I have full confidence that we will spend money wisely, and we will be ready for the start of the Premier League season. HUDDERSFIELD TOWN ARE IN THE PREMIER LEAGUE! Previous Rollercoaster season extended – Town confirm Play-offs!